The biophysics group is part of the Soft Condensed Matter and Biophysics program of the Physics Department. 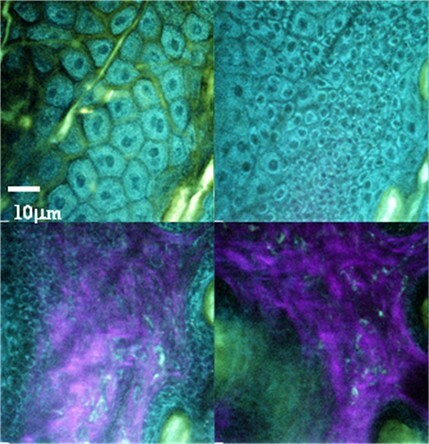 Its research objectives are focused on the application and development of novel microscopy methods often based on the combination of fluorescence imaging and spectroscopic techniques. The novel imaging methodologies utilize advanced light sources, non-linear excitation methods and contrast based on fluorescence spectroscopy. The group currently consists of Hans Gerritsen, Gerhard Blab an Dave vd Heuvel. Imaging of both hetero molecular interactions by FRET-FLIM and homo-molecular interactions by anisotropy imaging. Deep tissue (autofluorescence) imaging based on Multi Photon Microscopy and Second Harmonic Generation microscopy. We combine this with both hyper-spectral, lifetime and anisotropy imaging. Single particle/molecule spectroscopy based on TIRF and confocal microscopy. Novel image analyses tools for lifetime and spectral imaging based on Phasor analyses. ImageJ plugins are available. Integrated Correlative Microscopy (integrated Laser Electron Microscopy, iLEM) for correlating fluorescence images with high-resolution TEM images.